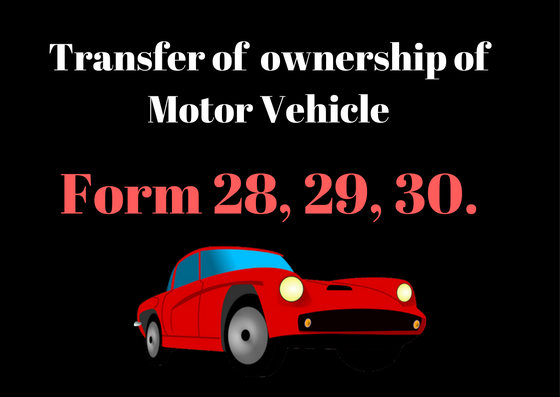 Form 29 & Form 30 will be used for Where the ownership of a motor vehicle is transferred, the transferor shall report the fact of transfer in Form 29 to the registering authorities concerned in whose jurisdiction the transferor and the transferee reside or have their places of business.An application for the transfer of ownership of a motor vehicle under sub-clause shall be made by the transferee in Form 30. 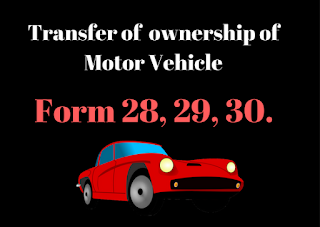 Prescribed fee along with penalty if the transfer of ownership not applied within 14 days from the date of purchase The appropriate fee as specified in rule 81. Attested copy of PAN Card or Form 60 & 61(as applicable).